Following the launch of its Creator service last year, augmented reality (AR) startup Layar is rolling out a redesigned and rebranded mobile app, logo and website. Available for Android and iOS, Layar has been given a design overhaul, as well as a couple of new features – including Recent Content, which lets users revisit previously viewed AR content whenever they want. As for the new logo, well, it does away with the familiar ‘cloud’ design, with the company noting it hopes to make it more recognizable as it strives to cement its position at the forefront of the AR space. In addition, Layar is introducing a redesigned website, it says will serve as a “one-stop portal for information on augmented reality, interactive print and Layar”. 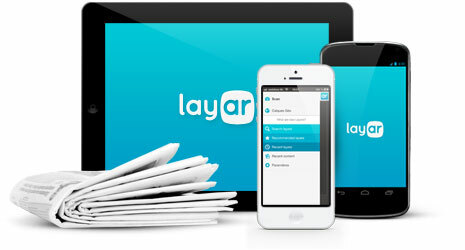 Layar’s mobile app has already been downloaded 33 million times, and you can get your hands on the new incarnation now. Read next: Draw something? You can now doodle with Doodle.ly on iPhone and iPod touch.